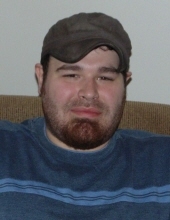 Matthew A. Teal, age 34, of Wausau, WI, passed away unexpectedly on Sunday, February 3, 2019, at his home, due to natural causes. Matthew was born in Wausau, WI, on December 19, 1984, to Jeffrey and Kay (Jaecks) Teal. Matthew and his family moved to Lake Nokomis in 1990 where he enjoyed fishing, catching frogs and everything that lake living had to offer. He was a 2003 graduate of Tomahawk High School where he was active in several sports. After high school, he attended college beginning at UW Marathon County and then received his Bachelor’s Degree in Sociology and Psychology from UW Green Bay. Matthew moved to Madison for a short time after college before moving back to Wausau and starting his career with the United States Postal Service as Assistant Postmaster. Matthew was a talented gamer and musician who played guitar in a band throughout high school and college. He was an avid reader and enjoyed Sci-Fi and listening to audio books. Matthew loved spending time with his family and looked forward to his annual Memorial Weekend fishing getaway in Hayward. Special Cousins, Bill (Sarah) Dixon, of Wausau, Justin (Annastacia) White, of Superior, WI, and Colin White, of Rhinelander. Matthew was preceded in death by his Paternal Grandmother, Elaine Teal. To honor Matthew’s love for reading, memorials are appreciated to the Tomahawk Public Library. Memorial Services for Matthew Teal will be held on Sunday, February 10, 2019, at 1:00 PM, at Generations Funeral Home. The family will receive friends for Visitation from 12:00 Noon until the time of Services at 1:00 PM. Pastor Steve Grunwald will officiate. A Celebration of Life will follow at Oaks Pub. To send flowers or a remembrance gift to the family of Matthew A. Teal, please visit our Tribute Store. "Email Address" would like to share the life celebration of Matthew A. Teal. Click on the "link" to go to share a favorite memory or leave a condolence message for the family.